If submitting in Google Classroom, do not forget to use the filename convention! 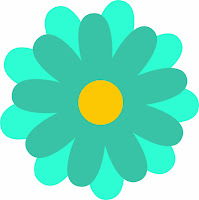 use Inkscape to design a flower. use the shape tool, set as a star, to construct a basic flower (Note: use 9 petals). convert an object to a path (with nodes). use "shift" to select multiple nodes. edit nodes symmetrically to smooth nodes. use Path > Linked Offset to create a duplicated, offsetted object. use <ctrl-d> to duplicate an object (not mentioned in the video). change the colour of an object. use the Ctrl key to rotate objects exactly 60 degrees (not mentioned in the video). align objects vertically and horizontally (not mentioned in the video). Save as "flower.svg" in the appropriate handin folder. Save as rustygear.svg in the appropriate handin folder. use ellipses and/or rectangles to create speech, thought, and action bubbles. change the fill and stroke properties of an object. create new corner nodes on an object. use <ctrl-d> to duplicate an object. use <ctrl-j> to dynamically offset an object. blur and change the opacity of an object. send a layer behind another layer. scale objects without affecting the stroke size. type text in a text window. change the justification of text. use the bezier tool to create an action bubble. change the fill and stroke of text. group and resize letters so they overlap in an action bubble. Save as speechBubbles.svg in the appropriate handin folder. Note: There should be a total of four speech bubbles in your submission, with text in each of them. Save as shield.svg in the appropriate handin folder. Save as 8-ball.svg in the appropriate handin folder. Save as inksplash.svg in the appropriate handin folder. Save as bowlingpin.svg in the appropriate handin folder. Save as button.svg in the appropriate handin folder. Save as heart.svg in the appropriate handin folder. Save as flourish.svg in the appropriate handin folder. Save as vinyl.svg in the appropriate handin folder. Save as 3dButton.svg in the appropriate handin folder. Save as icon.svg in the appropriate handin folder. Save as penguin.svg in the appropriate handin folder. Save as 3dOrb.svg in the appropriate handin folder. Save as "insect.svg" in the appropriate handin folder. Save as "anime_eye.svg" in the appropriate handin folder.